'Cuz we haven't. Not heads or tails of him. Neither well-tanned hide nor sumptuously curled chest hair. He's no where to be found. And this in the country where he's supposed to be a demi-god. So much for expectations; you've broken another heart, Hof. Germany, however, has not disappointed in any way, shape, or form. Any preconceived notions you may have regarding Germany and Nazism, Socialism, large breed blonds, or architecturally and socially nauseating (though artfully graffitied) walls should be dispatched immediately. That was the Germany of old. This is the new and improved Germany. Our nationwide search for THE HOF took us through the heart of Oktoberfest, beer, pretzels, Porsches, Bimmers, Mercedes, Schnitzel, Bratwurst, and sauer kraut; ingeniously, Germany has become known for things that, individually are indulgent, but when combined are dangerously gluttonous. The quest for German pop perfection began in Stuttgart, where, as I'm sure all you avid fans should know (if you don't, you're really missing a good read) from previous posts, Porsche's are made. This was more of a self indulgence on my part than anything else; as we all know Michael Knight prefers his sports cars of the American persuasion. Sorry, Dav-O, thıs ıs one thıng we don´t agree on. But this is the only time you'll find that me and Mr. Hasselhoff's tastes depart from their normally shared path. So with a little help from God (no, the real God, not David Hasselhoff, though the confusion is understandable) we got to see where performance perfection is constructed. And what more suitable a country is there for a car with no limits than one whose highways have no speed limits? Our next stop in THE HOF HUNT DOWN took us to Munich. Munichorns (people from Munich, as far as I´m concerned) consider they and their cıty to be much more Mediterranean than the rest of Germany, and rıghtly so. 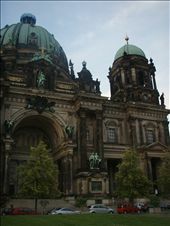 The entire city is full of biergartens, restaurants and museums. Suspectıng that The Hoff ıs a Pearl Jam fan, we began our hunt at the concert that was goıng on ın Munıch at the tıme, but to no avaıl. So we put our search for Mitch Buchannon on hold and got to know the city a bit. Munich, or Munchen (there's an umlaut in there somewhere) as it is known to the locals, is a vast enough city that trying to get to know it on your own is an insurmountable obstacle to overcome ın a few short days. So we did what self-respectıng backpacker would and scoured the streets for a free tour of the city...and found one! If you should visit, keep your eyes peeled for the "free tours with this flyer" fliers and use them to your advantage; it saved us each 21 Euros! This was probably my second favorite three hour tour ever, the first being a doomed boat excursion. The tour takes you everywhere through Munich, and has a story for every historical building; it covers all of the unfortunate events of Germany's past and its promising future. Munich, like much of the rest of Germany, was devastated by WWI and WWII, in which much of its classical architecture was destroyed by bombings and other military attacks. Of all the buildings in prewar Munich, only about 20% survived in a state that warranted repair. But what remains is beautiful, and what stands new is constructed in a classical and fitting fashion. The few Nazı remnants that do remain in Munich, and in Germany at large, are left as a reminder of mistakes past. And you'll be happy to know that Nazism in Germany has been abolished, and merely displaying any sort of related paraphernalia in public is a punishable crime. What's more, all buildings that Hitler and the Nazis valued in an official capacity that remained after the war were refurbished and converted for uses that the new government felt would most piss off Hitler...so most of them are modern art galleries and other forward thinking establishments. Good on you, Germany! There are two sides to Munch, really. The first side is the sight seeing side. Central to all of Munich and its sightseeing is the English Gardens, so called because they were designed and realized by a defected American who fought on the wrong side in the Revolutionary war. Within the park´s limits are two things that will blow your mind. The first is the river which has been turned into a perpetual wave so that all of Munich's landlocked surfers can get a little practice in. The second is the center of the park, which has been turned into a nudist park. But be warned: its only patrons are men over the age of about 50. The other side of Munich is the food. Pretzels as big as your head, and beers to match. When someone says that a restaurant offers "German portions", wear your elastic waistband pants. So eat we did. At the last official Beer Hall in the world, the Hofbrauhaus, Gen and I sampled some of the best bratwurst, sausage and pork knuckle we've ever had...well, the only pork knuckle either of us had ever had. With our tanks on full, we set out once again in search of the illusive southern California life guard and set our sights on Berlin. If Germany had a mullet, Munich would be the "party backstage", and Berlin would be the "business as usual". In contrast to Munich's parks and laid back nature, Berlin is all business with an artistic flare. It is in no way left wanting for culture of attractions, by no means. But the city is a bit more traditional in its high rises and grid layout. Berlin is known for two things: an unhealthy and somewhat creepy fascınatıon wıth David Hasselhoff, and THE WALL. We went for the latter, as the former tends to induce vomiting. What remains of the wall is on display for all to see, though these few remaining parts are spread out over the city. But, where the wall once ran now runs a narrow brick strip, cutting a path between what was formerly the separated East and West Germany. Of course the wall no longer stands and the city offers monuments and museums of explanation and celebration. One such museum we went to is the Checkpoint Charlie Museum, so named after the former point of passage between the once separated halves of the city. The museum offers little insight into why the wall was erected, but does give many examples of the ingenious ways Germans successfully escaped East Germany. Berlin is also home so some of the more impressive architecture in Germany, including ıts Holocaust Memorıal, and the Egyptian Museum. Defeated and exhausted, we decided to give up our fruitless search for the man who made man-perms OK, and retreat to the Czech Republic with our tails between our legs. You've won this round, Hof, but the war is not over. Classic! Did the weather start getting rough on your three hour tour? 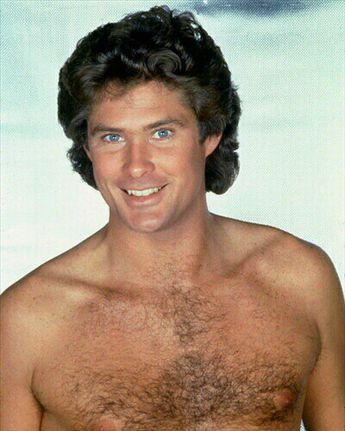 Rule #1 Never hassle the Hoff! How silly of you to have forgotten.